When selling should I remove decals? So no selling right now but when the day comes should I remove decals and plastic-dip for a better price or quicker sale or better trade in value? Yes I know its subjective but I know personally I'd prefer to buy something stock, with no mods. FYI I'd probably still keep the mudflaps and yellow brakes. Re: When selling should I remove decals? 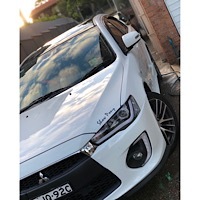 Depends really, selling privately, it would make the car stand out in an ad, and you can write a note that car can have decals removed before the sale is finalised if required, if trading in to get another car, then take them off, as Darryl says they'll most likely strip them off anyway. 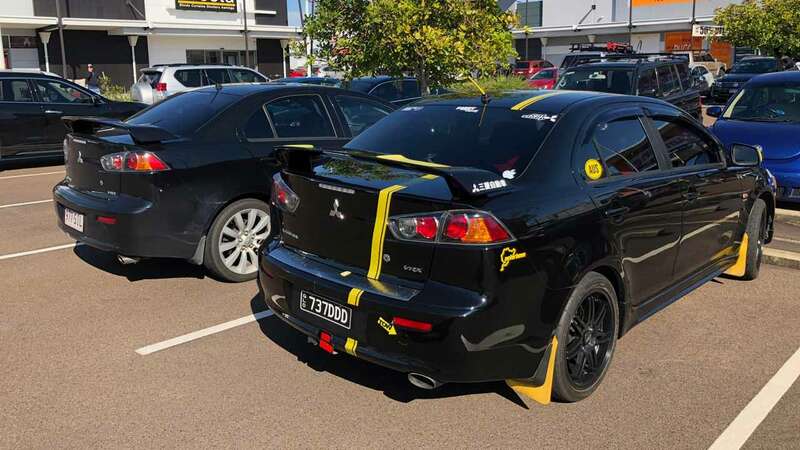 Yeah the first own of my VRX had removed the Mitsubishi diamond off the boot and put a god awful transformers badge like this... going by the fait outing left. The Dealer had the good sense to rip that off! 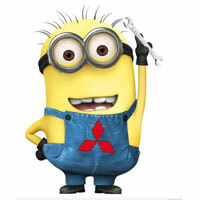 They have also put a Ralliart badge on the boot... why? Mechanically they had only chopped the exhaust, and put a new muffler on the back. Which I had to replace because it had rust holes in the pipes and put horrible and heavy chrome wheels on it. Thanks for the advice, no sale is likely until the loan is paid, so at least 18 months away then I can start looking for a good RA. Just like an sti badge on a fa20 or a AMG badge on a normal.. oh boy the list can go on! 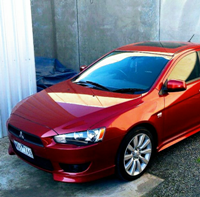 The closest I got was in my old Lancer (93 coupe) I have Ralliart branded floor mats. Oh dumb question and probably not the right place but will the wheels on my VRX fit a RA?